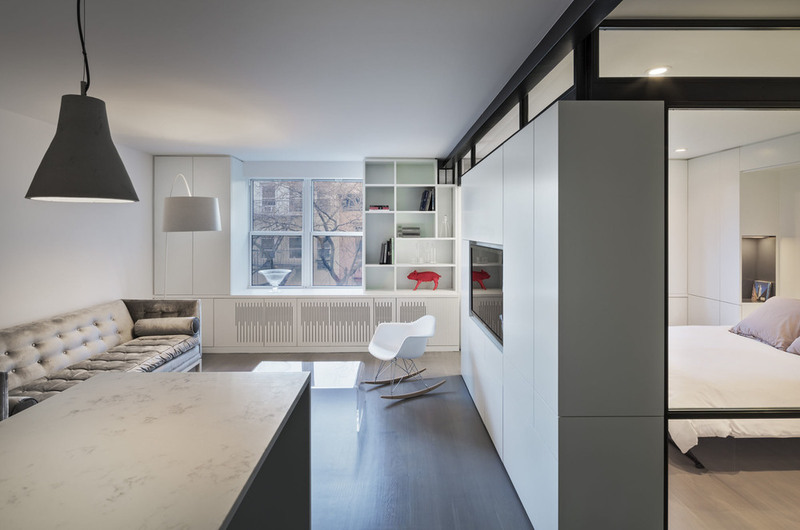 Overlooking Bleecker Street in the heart of the West Village, this compact one bedroom apartment required a gut renovation including the replacement of the windows. 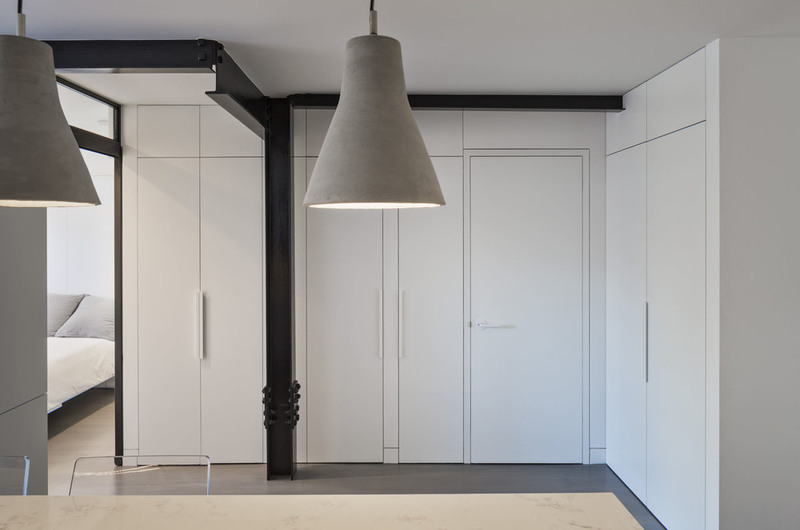 This intricate project focused on providing functional flexibility and ensuring that every square inch of space is put to good use. 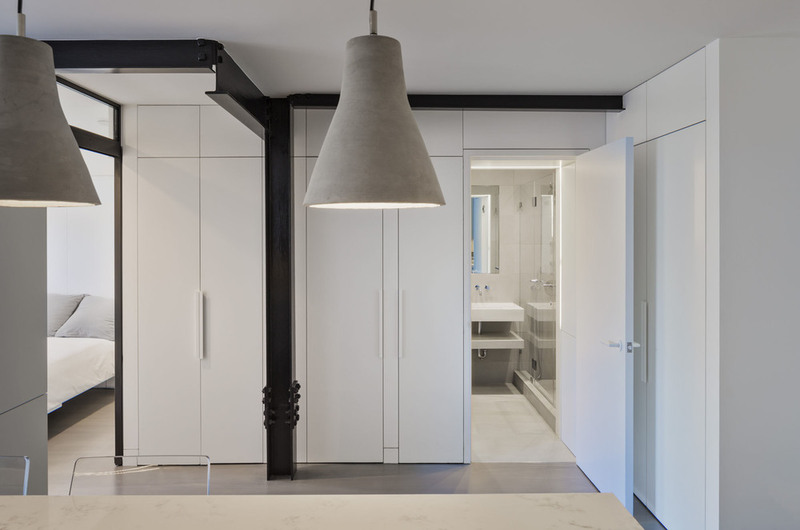 Cabinetry, closets and shelving play a key role in shaping the spaces. 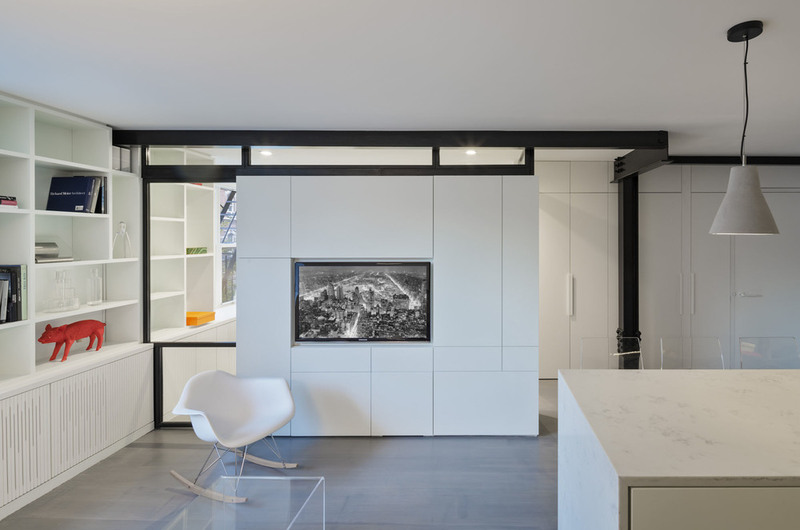 The typical boundaries between living and sleeping areas are blurred by employing clear glass sliding doors and a clerestory around of the freestanding storage wall between the bedroom and lounge. The kitchen extends into the lounge seamlessly, with an island that doubles as a dining table and layout space for a concealed study/desk adjacent. The bedroom transforms into a playroom for the nursery by folding the bed into another storage wall. In order to maximize the sense of openness, most materials are white including satin lacquer cabinetry, Corian counters at the seat wall and CNC milled Corian panels enclosing the HVAC systems. White Oak flooring is stained gray with a whitewash finish. 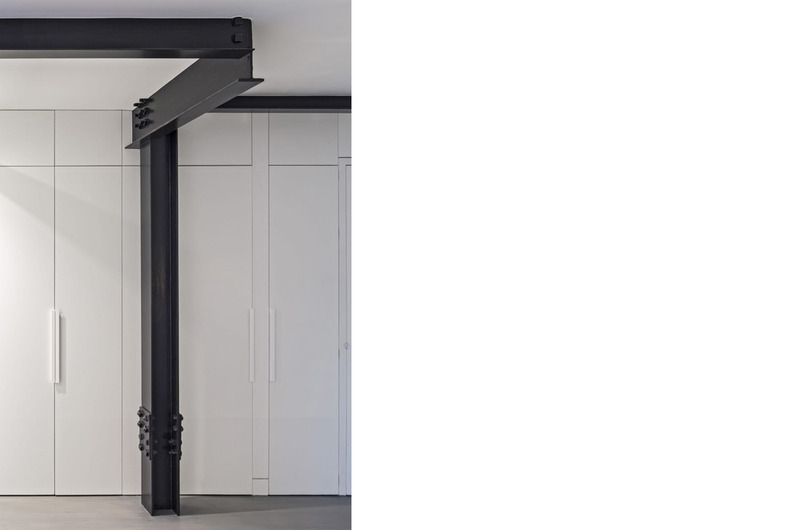 Steel elements provide contrast, with a blackened finish to the door system, column and beams. 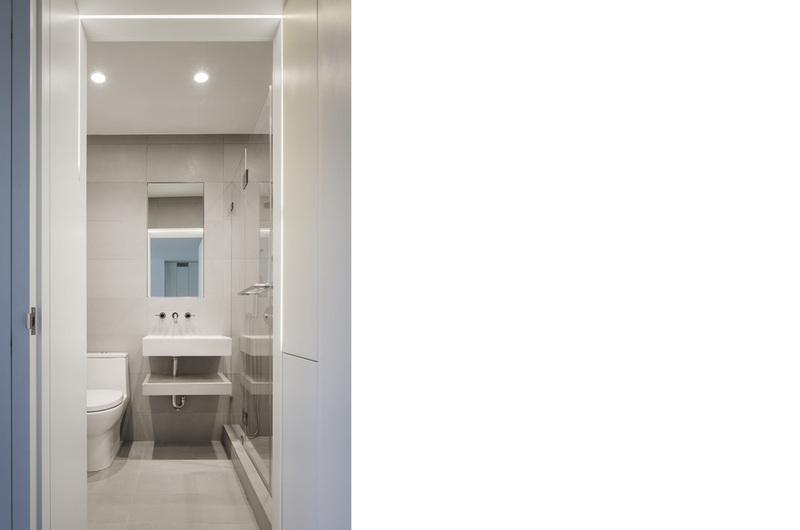 Concrete tile and slab is used throughout the Bathroom to act as a counterpoint to the predominantly white living areas.